The twelfth Sun City Million-dollar Pigeon Race will take place on 2 February 2008. The race is presented by Geneva-based Air Sport Internationale and administered by the Sun City Million-dollar race staff in South Africa. The loft complex where the pigeons are homed and trained from May every year is in the picturesque Pilanesberg near Sun City. 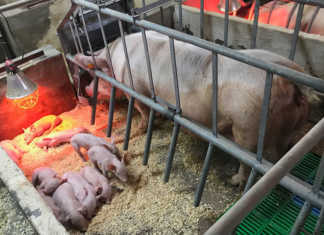 The loft has quarantine status and is under the supervision of the state veterinarian. Racing pigeons from all over the world are transported to the loft under strict quarantine measures. 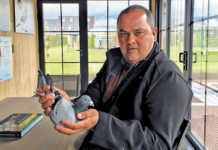 In 2008 SA freight company Hellman will oversee the transportation of more than 3 500 pigeons from all over the globe. Since its inception in 1996, more than 30 countries have entered the race. The annual cash prize payout exceeds US million. Five brand-new cars are presented as Hot Spot prizes in the prefinal training flights, and there are 250 cash prizes for the final race (see box). F rom the second Spot prefinal training flight, all paid entries race against each other on a knockout system. Any bird that arrives outside the first 65% of all birds sent out is excluded in the first round. The next three rounds exclude the birds that do not return within the first 55%, 35%, and 20% respectively. By the final round there are about 30 birds left to fight it out. The winning bird nets a whopping US0 000 for its owner. Ten magnificent gold pendants are awarded to the top 10 pigeons in the final race. 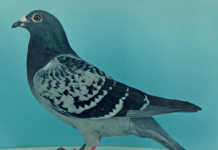 The pigeon with the best average score in the five Hot Spot prefinal training flights wins 5 000. There are a number of other cash prizes, 350 in all. Categories include the National Championships, the International Challenge race, the Two-pigeon Challenge, the five Hot Spots and the Sun City Grand Averages Champion. The birds are trained anonymously and a tamper-proof electronic ring holds each bird’s data. An independent team of experts controls the audit of arrivals in the final race and verifies the winning positions together with the auditors. The first 100 birds in the final are auctioned at the Superbowl at Sun City. The remainder are auctioned off at pigeon clubs across South Africa. The winners of the final race fetch large sums, as everybody is keen to obtain such prestigious pigeons that have beaten the world’s best. Buyers from all over the world register for the auction and it is not unusual to see a winner sell for R200 000 or more. At the 2007 race the top 10 birds sold for more than R1,3 million. The cost of entry is 1 000 for one pigeon, with two reserves that can replace a missing main bird immediately. If all three birds go missing before the final race, the owner has a free entry in the next event, providing the birds have not won any money during the current event. ([email protected] or call (011) 680 477). From the 21st position the prize money decreases on a sliding scale until position 250, which pays out US0. 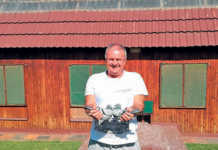 Steve was head trainer of the first Sun City Million-dollar race in 1996 and a champion South African pigeon fancier. The pioneer of the greatest pigeon race on earth now lives with the Pioneer of life!